Apple is clearly making a play for the health tracking market with its Health app and the integration with third-party apps that it makes possible, and while syncing food consumption data with apps is all well and good, it’s when you start adding bespoke hardware into the mix that things really start to get interesting. 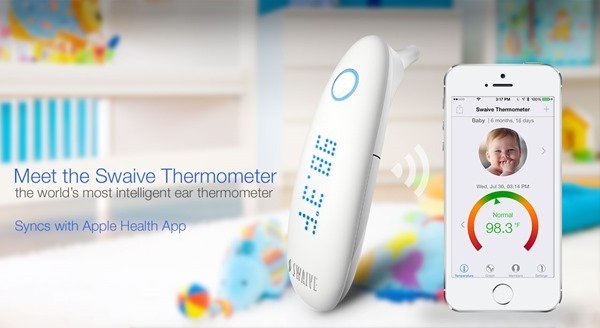 One such piece of hardware is the Swaive intelligent in-ear thermometer, and while it’s not cheap at $79.99, it does give us an idea of what Health is capable of at the very least. Coming with a free companion app, the Swaive thermometer can take a person’s temperature as required and then sync that information with the Health app in iOS 8. That information can then either be shared with other apps using the relevant API, or Health can plot the data onto a nice graph itself. The end result is that users will be able to track a person’s temperature easily and reliably over time, which can be hugely important if you’re dealing with someone who has a fever. The Swaive hardware transfers its data to a user’s iOS device automatically using the wonderful Bluetooth LE specification in a similar way to how health bands already work. While not hugely important most of the time when in isolation, it’s when temperature readings are in the aggregate that things start to become important, and that’s where having something like the Health app can be invaluable, especially if you’re like us and tend to lose the data or just can’t read your own handwriting well enough! While absolutely no replacement for seeking real professional help when required, the ability to self monitor so reliably using hardware such as Swaive’s and then having that data plugged into Health can be invaluable, and certainly gives us hope for the future. Apple’s idea of having all our data tracked and catalogued in the Health app may be concerning to some, but we’re all in for it here. Anything that stops us writing temperatures and the like on sticky notes stuck to the front of the refrigerator! 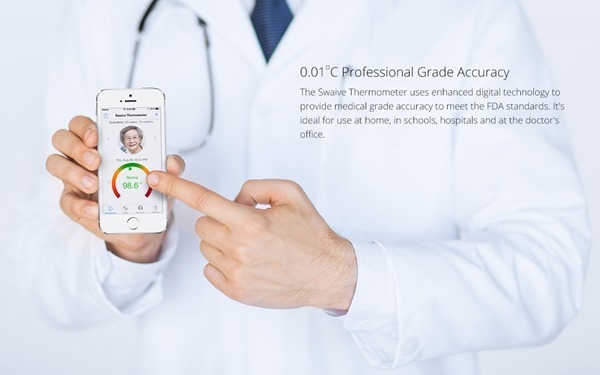 If you’re interested in the Swaive smart thermometer, then simply point your browser to swaive.com and read more about it before you part with your cash. This such an amazing device. It’s nice to know that when you use this, you can have the reading automatically to your phone, so no need to jot down and record on a sheet of paper. This will surely make life easier! 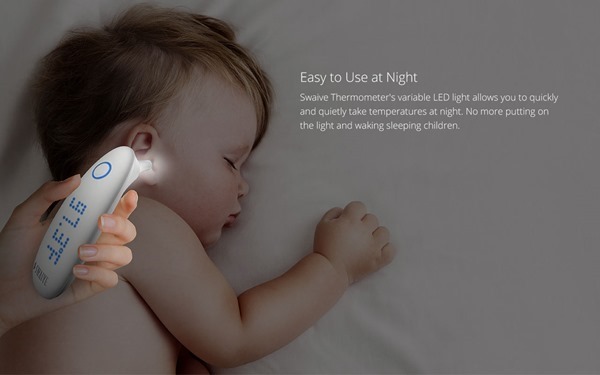 Why not an infrared surface thermometer ? I mean i thought they are more reliable than ear type thermometers? You can just measure the temp with in a fraction of a time just bu pulling the trigger. Just to be sure you can measure multiple times. So that it can log them all. 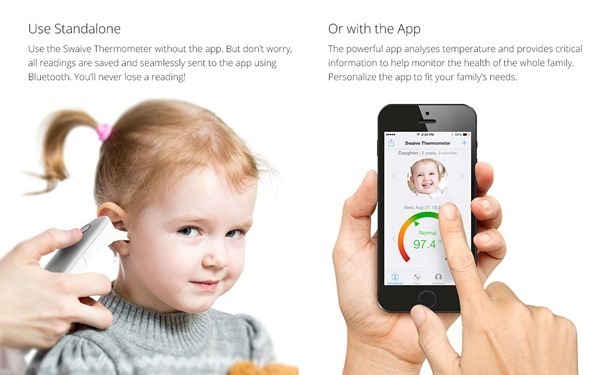 More than that why not a sensor to stick on the fore head when we are sick ? It would work like a charm you know ?